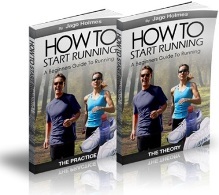 Jogging – What Is It and Why You Should Do It? Jogging is basically an in between exercise. It’s not as easy as walking, but it’s not as challenging as running. Jogging is perfect for anyone that wants to improve their fitness levels and burn a little more fat than walking does, but without the need to push themselves too hard. Jogging is a good choice for anyone recovering from injury, for more mature runners and anyone carrying large amounts of body fat. It’s been suggested that jogging is running at a speed of slower than 6mph or running a mile in over 10 minutes, but these figures are just for guideline purposes. I would personally suggest that jogging is in fact running at a pace much slower than this, a little faster than walking. When you're jogging, you need to keep your feet as close to the ground as possible because this reduces the impact on the joints, however using this technique will slow down the speed than you can jog at. You’ll typically relax your arms in a bent position down by your side and move them backwards and forwards as you run. Whilst the main difference between running and jogging is the speed that you travel at, there are also other differences which make jogging more appropriate for different types of people wanting to achieve different goals in life. For example older people will find that jogging is less intense and doesn’t challenge the body in the same way that running does. The main reasons for this are the increase in the length of the stride needed and also running at a faster pace requires you to lift your feet off the ground much higher as you spring off the balls of your feet with each step. With jogging, you glide your feet along the ground. Obviously they do lift off the ground a little but the movement should be small, almost sliding your feet over the ground. Basically you can expect all the same benefits from jogging as you would when running. The only main exceptions to this are that you won’t burn off quite as many calories or improve your fitness levels as quickly. Jogging will burn off slightly more calories than walking, but it’s probably the effect on your fitness levels which is the most noticeable. Compared to walking, jogging demands more oxygen in the leg muscles which means that the lungs will need to absorb more oxygen and the heart need to pump faster to deliver this oxygen and remove the carbon dioxide and other waste products from muscular contractions. So all these areas are challenged to a far greater degree. Jogging is an excellent introduction to running because unlike running, you don’t need to increase speeds or intensity levels as quickly. Once you start to do this, then you’ve moved on to running and can start progressing from there. Jogging is a gentler, less intense form of exercise than running. For anyone who regularly walks and wants to start running, they will probably naturally progress from walking to jogging and then on to running... Ultimately jogging is a slower form of running.